"I feel like I’ve fully ticked Japan off of my list of places to visit and have come away with rich memories of this enchanting country." My husband and I really enjoy the element of ‘discovery’ you get when you travel to far-flung destinations. 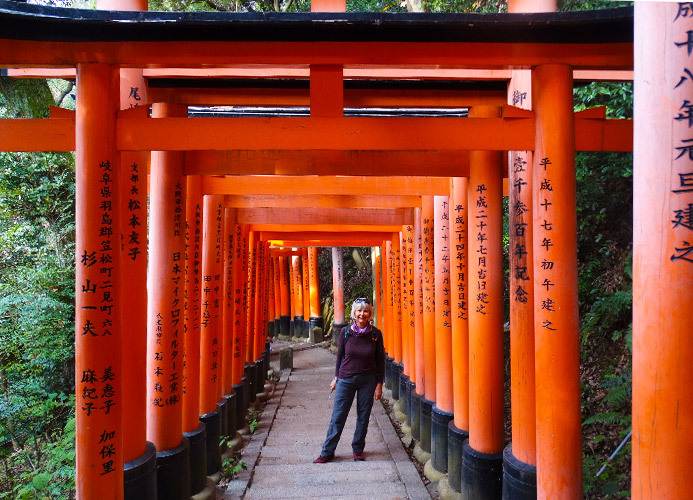 We often choose long-haul holidays because we love to get to know other cultures and have travelled a lot over the years to places like India, Africa, Southeast Asia and even South America, but we had never been to Japan before. We fancied seeing what it was like and exploring a much-talked-about country. Once we had booked the holiday I started researching all the places we were to stop at on the tour. I was determined to see more of Japan than just the cities, and although Exoticca was going to take us more historical places like Kyoto and Kanazawa, I began to plan how we could get the most out of the included Japan Rail Pass to discover even more of the country and especially places outside of the huge Japanese metropolises. I expected Japan to be very different to anywhere we had ever visited before, but almost nothing could prepare you for the sheer size and complexity of Tokyo. Travelling to Japan leaves you rather jet-lagged, so we spent the first-day getting our bearings and trying to get the feel of Tokyo. Tokyo is extremely busy, vibrant, vast and so different to anywhere else in the world. You can’t imagine what life is like to actually live here! We did a lot of walking around on the first day and visited a shrine, which was very busy as it was a Japanese public holiday. At first, it crosses your mind that you just can’t cope with how busy everything is, but you soon forget about it and get used to the number of people. The city is set out to accommodate the huge population and you soon see this in the efficiency of everything, from the trains to the service in restaurants and shops. As our time in Tokyo came to a close we were looking forward to seeing a more laid-back side to Japan, outside of the capital. We love sightseeing and travelling around seeing lots of different sides of a country when we are abroad so the rail pass was perfect for us. It was just so easy to get around and to buy train tickets or book tours, either online or at the train stations; plus everything always ran on time so you could fit so much in! 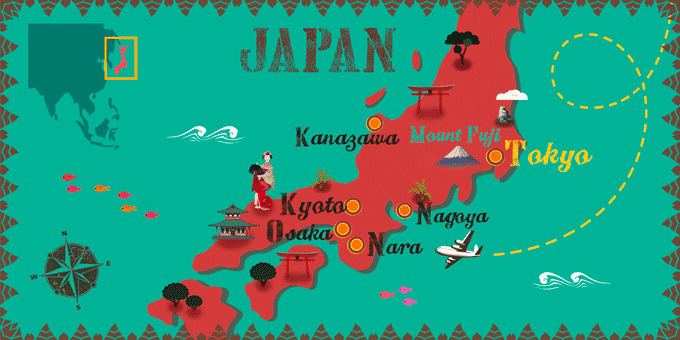 The itinerary provided by Exoticca would take us from Tokyo to Kanazawa, Kyoto, Osaka, Nagoya and then back to Tokyo. On top of this, from Kanazawa, we travelled to Shirakawa-Go, from Osaka to Kurashiki and from Nagoya-Shi to the Kiso Valley. We also stopped at a place called Hikone on the way back to Tokyo where there was a beautiful old castle with landscaped gardens. If we had visited in spring I would imagine it would have been idyllic as there were so many cherry blossom trees there! Kyoto was probably one of my favourite places that we spent time in. It was so charming with its numerous Buddhist temples, majestic gardens and beautiful palaces. We really tried to fit as much in as we could whilst we were there for a few nights. 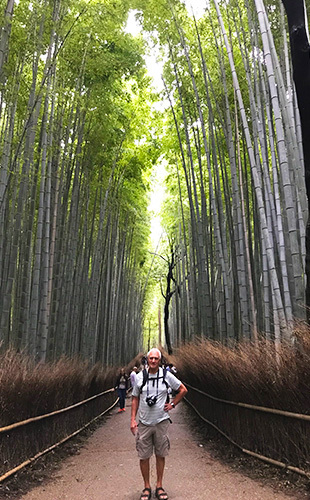 I loved the Bamboo Forest, where we walked along the pathways, bordered by rows and rows of amazing bamboo trees. Also, the Fushimi Inari shrine was very memorable, a truly beautiful sight. I loved Nara too, which we visited on one of the included tours. The deer run around freely here, although we weren’t too fussed by them as we have deer near where we live back home! It was the amazing temples and old architecture that caught our attention in Nara. 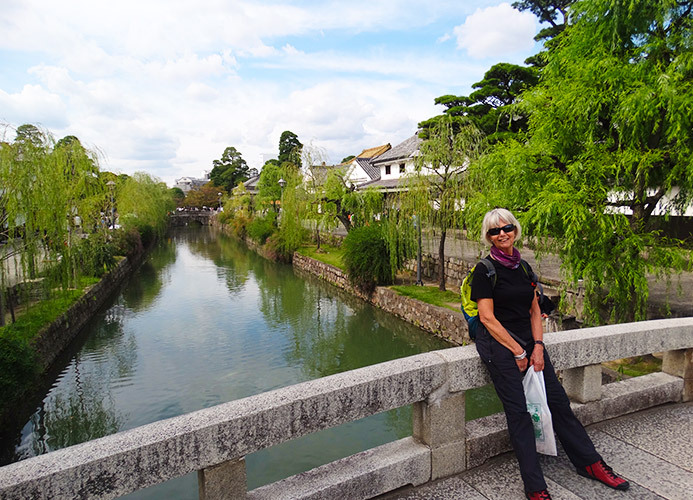 One day, on a self-organised trip from Osaka, which was a rather ‘in your face’ kind of place, we visited Kurashiki, a historic city known for its historic buildings. I loved it there, it was like stepping back in time and, on sunrise sunny afternoon that we visited, it was full of families enjoying the old museums, built into historic warehouses, and the views of the canal. I would recommend Hikone as it’s such a quaint little place. Unfortunately, the symbol of Japan, Mount Fuji, was hidden behind the clouds on the day of our excursion, but we really enjoyed the included boat trip on Lake Kawaguchi, in the shadows of the mighty mountain. I fell in love with Japanese cuisine whilst we were travelling. We always opted for the most authentic Japanese restaurants we could find, hoping they might have an English menu hidden somewhere for us! We walked around and looked for the busiest looking restaurants and often managed to get a seat in places where they cook the food right in front of you. In Kanazawa, we were staying opposite a fantastic fish market and ate at a restaurant that sourced their fish straight from the market. It was some of the best fish I’ve ever eaten! We found Japan to be reasonably priced for eating out and getting around. We were also very lucky with the weather. It was bright and sunny most days, sometimes even quite hot with only one heavy shower whilst we were there. I feel like I discovered quite a lot about Japanese culture during our tour. I found the people we met, be it the guides or people in public, to be very polite and very punctual. Life seems quite intense in Japan, with a real emphasis on hard work. You can see it for your own eyes when you travel on the metro. Almost everyone is nodding off on the train after work and school children are making their way back home at 9 or 10 o’clock at night, probably following intensive after-school tutoring. One of the guides on an excursion told us a lot about her life in Japan which I really enjoyed hearing about. The big department stores are also very eye-opening; you have never seen so many products in your life, and other strange things about Japan, like their ‘Cat Cafes’ where you can go for a coffee and play with cats, were amusing and interesting. I also loved learning about the Shinto religion, something I knew nothing about before the trip and something that is very important to Japanese identity, as seen in the numerous Shinto shrines dotted throughout the country. The country’s heritage is something treasured by the Japanese; when we were visiting almost all of the sights we visited were also being enjoyed by local school children as is was a special week in the academic year where the school children go on excursions to visit their country’s landmarks. I am determined that there is nowhere else in the world where you could have seen and experienced quite so many things in such a small space of time, thanks to the amazing transport systems, the efficiency of the country and the framework that Exoticca provided us. I feel like I’ve fully ticked Japan off of my list of places to visit and have come away with rich memories of this enchanting country. We saw so much of Japan thanks to the included rail pass and I would recommend planning your own excursions and trips as it’s so easy to use the Japanese rail system. Many people are concerned that the language barrier will be a problem in Japan but you can always get help and directions at the train stations, where English-speaking staff are happy to assist visitors. You can find ATM’s at all the train stations so don’t worry about bringing too much cash. An island nation in the Pacific Ocean, Japan is home to approximately 33 million people and the Tokyo-Yokohama metropolitan area is the largest populated metropolitan region in the world. The country is nicknamed the 'Land of the Rising Sun', as it was once believed that Japan was the first country to see the sunrise in the East each morning.